9.5mm x 5.5mm oblong normal convex white film coated tablet debossed "EC/10" on one side and "G" on the other. 12.5mm x 7mm oblong normal convex white film coated tablet debossed "EC/20" on one sied and "G" on the other. 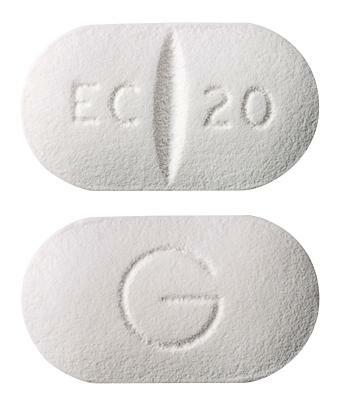 5.5mm normal convex white film coated tablet debossed "EC" over 5 on one side and "G" on the other.